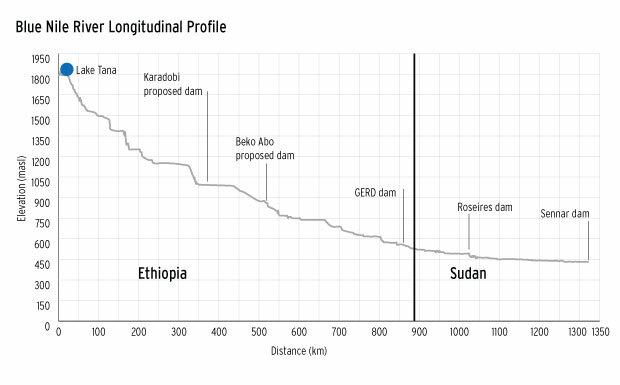 Nile Basin’s potential for hydroelectric power is quite substantial. The Blue Nile drops some 1,360-m between Lake Tana and its exit point into Sudan. 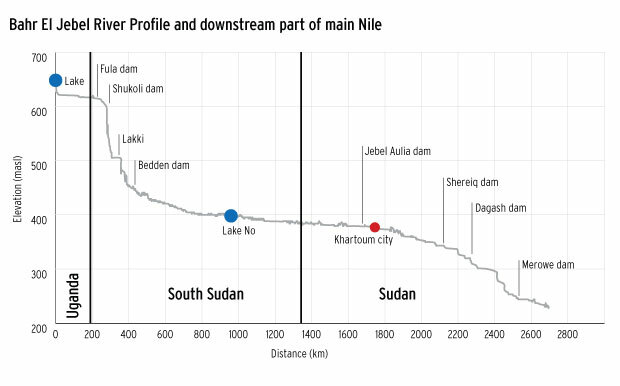 Coupled with its substantial discharge, the Blue Nile has the largest hydropower potential in the Nile Basin. A number of sites with high hydropower potential have been studied in the past. The Tekeze-Atbara river drops for about 1770-m between the Ethiopian highlands and Rumela-Burdana (Atbara Complex) dam on Atbara river. 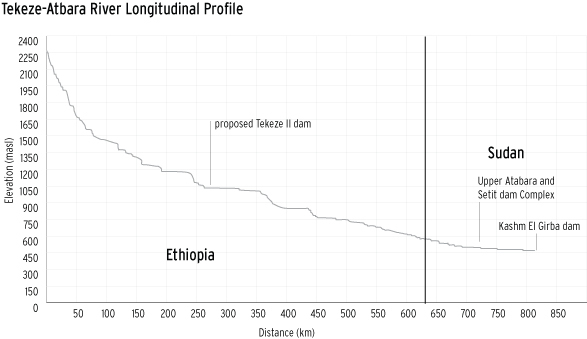 The identified potential hydropower site in the reach is Tekeze II (450 MW). In the Nile Equatorial Lake Sub-basin, the Victoria Nile drops for about 415-m between Lake Kyoga and Lake Albert. 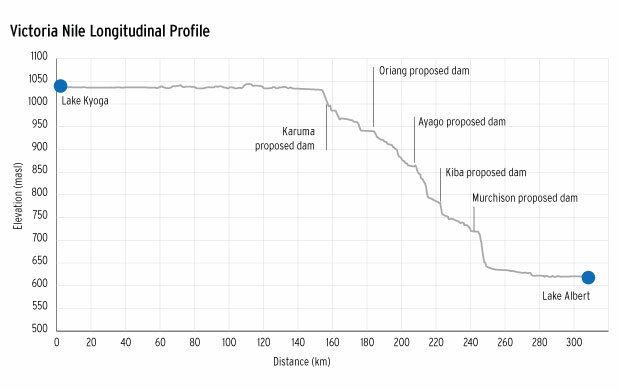 The identified potential hydropower sites in the reach include Karuma (576 MW), Oriang (392 MW), Ayago (582 MW), Kiba (288 MW) and Murchison Falls (648 MW). The Bahr El Ghazal is formed by a number of poorly defined streams. Many of these streams originate from the Nile Congo divide. The streams are Bahr El Arab, Lol, Jur, Gel, Tonj, Yei and Naam. 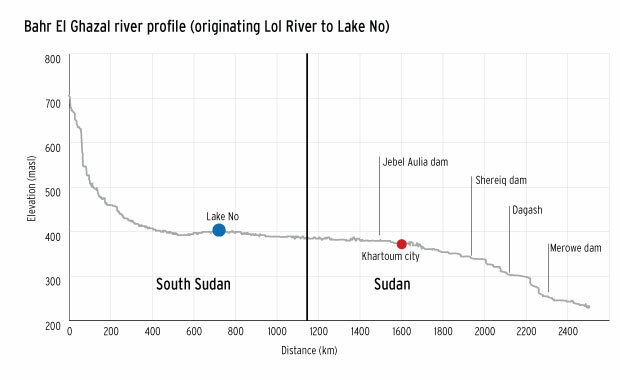 Lol stream originates from the highlands at an altitude of about 700 masl and drops to about 400 masl before it joins other streams and forms Bahr El Ghazal river with confluence at Lake No with Bahr El Jebel. Lake No is a large shallow lagoon, where the sluggish Bahr el Ghazal joins the Bahr el Jebel. Bahr El Jebel River stretches a distance of about 1,000 km from the outlet of Lake Albert to the inlet of Lake No. The stretch has a drop of about 250m and has several potential hydropower sites such as Fula I, Shukoli, Lakki, and Bedden. Despite being one of Africa’s fastest growing economies, Uganda had one of the lowest electrification rates in the world. Only 2% of its rural population had access to electricity, and the country suffered from frequent rolling blackouts – requiring expensive emergency generation, costing USD 9 million per month. In 2007, to meet these shortfalls, the government decided the least cost option – a USD 860 million hydroelectric power plant in Bujagali, 8 km down the Nile from Lake Victoria. However, it needed financiers and large hydropower developers to implement the project. The government established a public-private partnership called Bujagali Energy Limited, which would own the plant for a 30-year concessionary period before transferring it to Uganda. The project which was regionally identified through the NELSAP SSEA, will enhance power trade with neighboring Kenya, through the Nile Basin Initiative Planned Kenya-Uganda Interconnector Multilateral lenders including the World Bank, the European Investment Bank, and the African Development Bank joined in with private financiers, such as South Africa’s ABSA Capital and Standard Chartered Bank. Commissioning of the dam took place in August 2012. 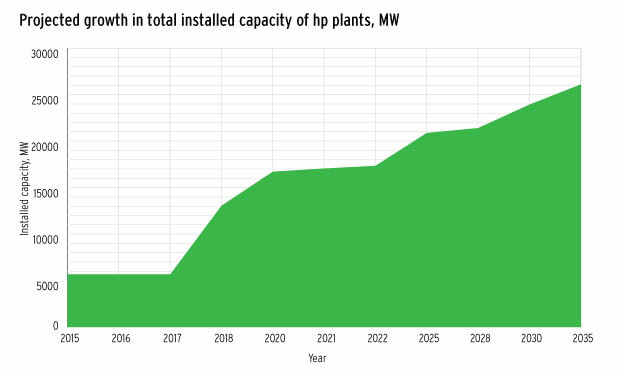 Today the 250 MW hydropower plant meets half of Uganda’s energy needs. The project’s construction created over 3,000 local jobs. Bujagali was registered in 2012 as a Clean Development Mechanism project, making it the largest ever registered in a Least Developed Country. The dam is located on the Tekeze River, a tributary of the Nile, in a mountainous region of Ethiopia. At 188m high, the Tekeze Arch Dam ranks as the highest dam in Africa, eclipsing the previous record height for an African dam of 185m held by the Katse Arch Dam in Lesotho. It generates 300 MW adding 40% energy to the 683 MW previously generated for the entire country. The dam impounds a 70-km-long reservoir. 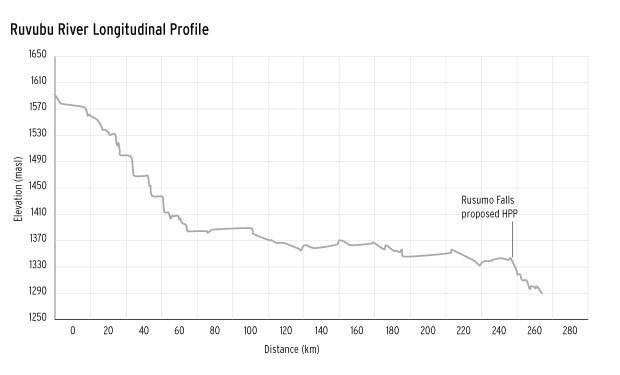 An underground powerhouse, containing four 75 MW Francis Turbines, is located 500 mm downstream from the dam and fed by a 75-m-high intake structure connected by a 500-meter-long concrete-lined power tunnel. A 105-km-long 230 kV double-circuit transmission line was constructed through rugged, mountainous terrain with minimal environmental impact to connect to the Ethiopian national grid.